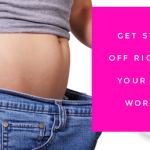 Do you love the Step Away The Inches workouts? Looking for more? More variety? More walking classes to enjoy using the same great T-Tapp techniques with the same great results? I love to walk! I love doing walking workouts. They are fun, “do-able” and most of all…super effective at melting away those extra pesky inches. That’s why I put together this package of 14 different recorded walking workouts just for YOU! 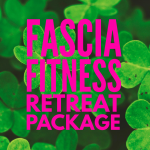 Fabulous Fascia Fitness Retreat Class Package! The 2017 Fitness Retreat was the last Retreat Teresa Tapp did. It was, as always, inspirational, motivational and incredibly informative. Teresa was brilliant and her work was always so ahead of everyone else. I found this particular Retreat to be one of her very best in terms of new teaching and exploration into how to work our fascia to get even better results. 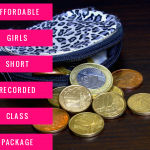 10 Affordable Short Recorded Class Package! Looking for an super affordable package that gives you great T-Tapp class options? This is the one for you! Here is a “recorded class” package that give you 2 fifteen minute workouts, 2 30 minute standing workouts, 2 30 minute combos (15 minutes standing and 15 minute on the floor), 2 walking workouts and 2 floor classes. That’s ten great workouts you can mix and match to create your perfect “limited time and limited budget” workout routine! “Best of 2018 60 Day Challenge” Recorded Class Package! The “official” 60 Day Challenge is over! But don’t let that stop you from continuing your workout habit! Or the positive results you are getting! 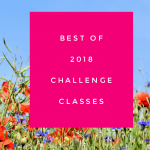 When the Challenge was over, the ladies who were in my Challenge classes suggested putting together a “Best of the 60 Day Challenge Classes” package so they could continue to get their movement in a fun, effective way. There are 15/30/50 minute classes, floor classes, walking classes… Lots of variety to keep your body and brain “challenged” and moving forward! Just getting started with T-Tapp? This package is for YOU! When you first find this brave new T-Tapp world, you might feel overwhelmed with all the choices and possibilities. You’ll start with 7 short videos that will give you the info you need to get started off right…learn the hand positions and why they are important, how to put yourself into the proper “stance”, learn to activate your “lats” and get your ribs up to burn off that back fat and charge up your metabolism, how to get into the proper alignment when you do your Primary back stretch. You’ll even get a short 10 minute class to practice what you’ve learned so far. Beginners Start HERE! 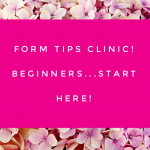 4 Hour Recorded “Get started Right” Form Tips Clinic! At home Video Form Intensive 6 week Course with Master Trainer Renee McLaughlin and T-Tapp Trainer Tiffany Alvord… It’s More than a clinic! This intensive will take you on a “tips journey” through all the moves from Basic Workout Plus and Senior Fit with a few Total and Ladybug tips thrown in for good measure. 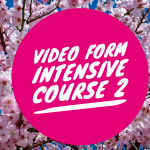 Everything you have wanted to know about these movements you will find out in this one of a kind video form intensive! 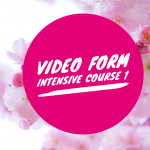 You completed and conquered the first Form Intensive Course! Are you ready to take all those tips and tweaks and apply them to the second part of the Total Workout?